In a time of political uncertainty, it is incredibly important for the working people of Kentucky to have advocates on their side in Frankfort. The hard-working Teamsters of Kentucky deserve to have a say in what happens at our state capital. 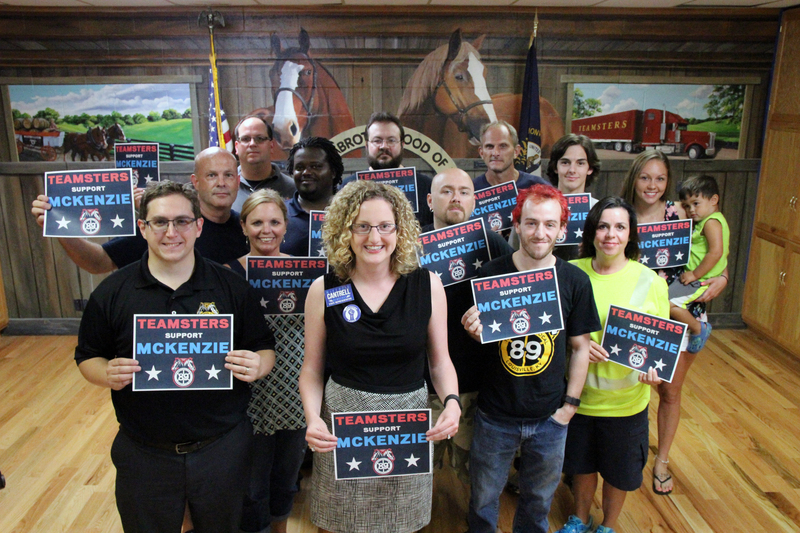 It is for these reasons that Teamsters 89 is proud to announce we are endorsing McKenzie Cantrell (D) for State Representative in the 38th House District. Teamsters 89 only selects a candidate to endorse after vetting them through interviews and questionnaires to make sure they understand the issues affecting working people. McKenzie performed above and beyond expectations. She is well versed in not only large labor issues like “Right-to-Work” and Prevailing Wage, but in the day-to-day struggles of the average worker. Her history as a labor attorney gives her a much more in-depth and understanding point of view into what sort of challenges Kentucky’s working people face than most other candidates. Given the challenges facing working people and their unions in Kentucky today, it is imperative that strong, pro-labor candidates like McKenzie Cantrell are elected and sent to Frankfort to defend us from out of state interests seeking to tear us down. Teamsters 89 is proud to endorse such a fighter for the working people of Kentucky. If you live in District 38 make sure you are registered to vote and help us elect McKenzie Cantrell on November 8th!